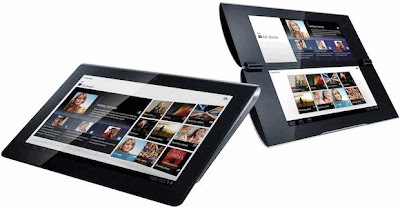 Sony unveils two new tablet designs S1 and S2.Both are code names.The s1 is mainly targeted for media entertainment while s2 is for mobile communication as well as entertainment.Both of these will be available first in India then Europe , U.S in September 2011. Sony India plans to offer the S1 and S2 for about 29,000 INR ($640) each for the 16GB WiFi version . The S1 has a 9.4-inch (1280-by-800) touch-screen display and front and rear cameras.It is equipped with the Android 3.0 Honeycomb operating system and be WiFi and WAN (3G/4G) compatible powered by Nvidia Tegra 2 dual-core processor. Sony offer app. access via Qriocity music and movie services and the PlayStation Suite, a framework for downloading and buying PlayStation content on Android tablets.An e-book content will be available from the Sony Reader Store. 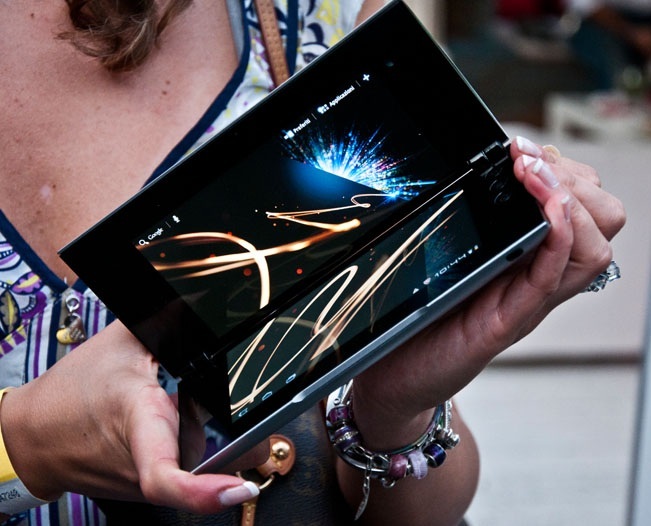 The S2 is a cylindrical, clamshell device that opens and closes, with two 5.5-inch touch-screen displays. The screens on the S2 can be used together as one large screen to browse websites or separately--for example, checking email on one and using the other as a soft keyboard.It is equipped with the Android 3.0 Honeycomb operating system and be WiFi and WAN (3G/4G) compatible powered by Nvidia Tegra 2 dual-core processor. 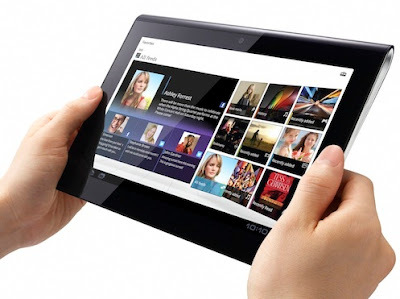 Tags: Sony s2 tablet,Sony s1 tablet, Sony s1 tablet features,Sony s1 tablet price,Sony s1 tablet specifications,Sony s1 tablet review,Sony s2 tablet features,Sony s2 tablet price,Sony s2 tablet specifications,Sony s2 tablet review,Sony android 3.0 tablets, Sony s1 and s2, Sony s1 and s2 features, Sony s1 and s2 specifications, Sony s1 and s2 review, Sony s1 and s2 details, Sony s1 and s2 availability, Sony s1 and s2 specs, Sony s1 and s2 images, Sony s1 and s2 pics, Sony s1 and s2 pictures, Sony s1 and s2 pics, smartphone, Android 3.1 Honeycomb OS, Sony s1 and s2 Network options, Sony s1 and s2 Connectivity options, Sony s1 and s2 multimedia features, Sony s1 and s2 Sensor options, Sony s1 and s2 price. Acer Liquid Mini now available in India. LG Optimus Big features and specifications. T-Mobile G2X features, price and specifications. Nikon D5100 features, price and specifications. 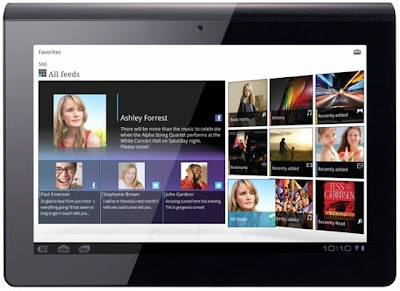 HTC Sensation features and specifications.